Burglaries from homes in Guildford, Elmbridge, and Epsom and Ewell, fell on average by 66% in the six months following the launch of the project and 58% when compared to the same time period the previous year. Following the success of the initiative, part of Surrey Police’s Beat the Burglar campaign, all residents in the county are now being offered the chance to buy a SelectaDNA home property marking kit at a reduced price. SelectaDNA is a uniquely coded, non-toxic liquid enabling homeowners to ‘forensically mark’ valuable posessions such as laptops, games consoles, jewellery, electrical items and tools. It can also be used to mark property stored outside the home, including garden equipment, pedal cycles etc. Barely visible to the naked eye and almost impossible to remove, the solution glows under ultraviolet (UV) light making it easy for police to detect and return property to the rightful owner, if stolen. Mole Valley Crime Reduction Advisor, PC Mike Bessent, has been involved in working in our community and demonstrating the benefits of using this product and would recommends its to residents and businesses. Once more because of thoughtless and inconsiderate parking, the bin lorry was unable to access the the higher part of Oaks Close. Once more we have space left only for a car to pass between the parked cars – forget about lorries or larger vehicles. Long gone is the time when cars did not park on corners, opposite T-junctions and in other places where they were obviously likely to cause obstruction. Now, if there is not a double-yellow line, motorists will park there – to hell with anyone else. 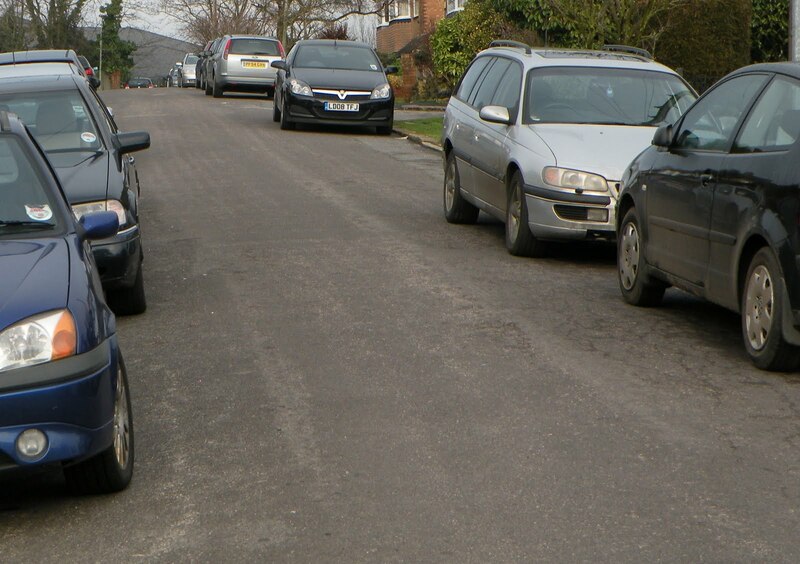 For Surrey County Council to introduce parking restrictions on neighbouring roads in 2009 and do nothing about the road nearest to the station is, in my opinion, crass negligence. For years, cars parked only on one side of this road; it was so obvious that parking on both sides would block the roadway. Then about four or five years ago, as parking got more difficult, they began parking on both sides. It is so patently obvious that double yellow lines should have been extended at least up to the turning circle on one side of the road. I have spoken with local police and with people from MVDC and everyone seems to be of much the same opinion. So why wasn’t it done? Why hasn’t it been done? Do we have to resort again to making our own unauthorized notice asking cars not to part on one side so that the bin lorry can get through? Do we have persuade the local press to highlight our case again? Received from Surrey CC ….. The second Surrey libraries’ Children’s Book Festival begins on Saturday 19 February and continues for 3 fun-filled weeks. An exciting programme of events for children of all ages will be taking place in libraries throughout Epsom and Ewell, Mole Valley, Reigate and Banstead and Tandridge. There is a fantastic opportunity to meet Darren Shan, the master of horror, at Bourne Hall, Ewell, on Friday 25 February. Tony de Saulles, illustrator of the popular Horrible Science books, will be running Horrible Science drawing workshops, and manga fans will be able to develop their technique at our manga workshops run by best-selling cartoonist James Parsons. Children will also be able to make pop-up books, write ghost stories, create their own monsters, join a Roald Dahl workshop, meet Elmer the Elephant and the Gruffalo, and much, much more. To see the full programme, and to book tickets, visit www.surreycc.gov.uk/childrensbookfestival. Tickets can also be bought at participating libraries or by calling 01483 543599. To avoid disappointment, please book your tickets in advance. We look forward to seeing you at our festival events. Surrey libraries – inspiring a lifelong love of reading. Received from Mole Valley District Council …. Mole Valley District Council and Surrey County Council are working together to make improvements to Leatherhead town centre. Last year they began a consultation on what changes should be made. On Friday 28 and Saturday 29 January the results of the consultation will be explored at an exhibition in Leatherhead. Nearly 350 people responded to the questionnaire. Questions covered issues such as access and parking in the High Street, the visual appearance of key streets and the allocation of space for events such as the town market. The exhibition will explore the results of the consultation and look at how the councils’ spending plans can respond to its findings. It is also a chance for residents, visitors and those who work in the town to make suggestions about the key issues surrounding its future and to comment on how the proposals could impact on them. The exhibition will take place on both days from 10.00am to 4.00pm. On Friday it will reopen in the evening from 6.00pm to 8.00pm. It will be located at 36 Church Street, close to the Church Street car park entrance. 4. "Transition Towns: different flavours of Bookham, Ashtead & Dorking, and why we like living in the Mole Valley"